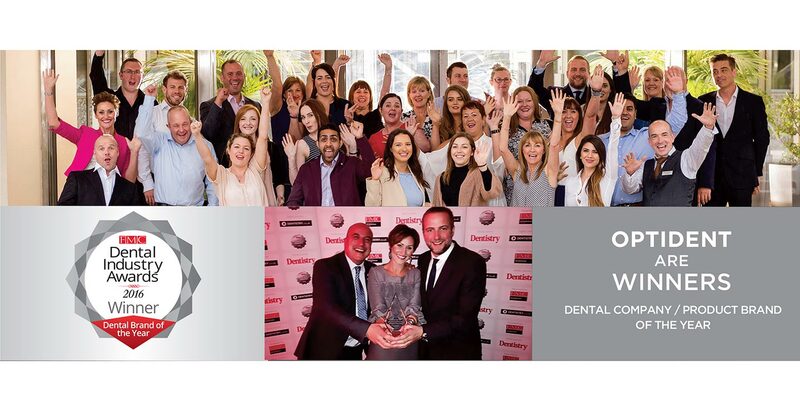 We are proud to announce that Optident are the winners for “Dental Company/ Product Brand” of the year at the Dental Industry Awards 2016. We were selected by an independent team of 15 industry professional leaders. This prize symbolises our continued commitment to team work, innovation, branding & marketing. Most importantly, the award represents our passion to deliver the best for our customers every day. Thank you for inspiring us! The company has great professionalism and a very innovative approach. I like that they always bring in new, high quality products into the UK and that they provide something that no other company does. "We have been working with Optident Ltd for a while and can honestly say they are a fantastic company to work with. Optident are a very forward thinking company that provide very innovative products and worthwhile courses for all dental practitioners of all levels of experience. On a personal note, they have supported the initial stages of our business very well through effective marketing, branding and are always accessible to liaise with. We could not think of a more worth candidate for the dental industry awards." “For 15 years I've worked with loupes and lights and I know we all find them invaluable to perform Dentistry to the highest standard and also to protect ourselves from the toil of ill posture. I'd gone from x2.5 to x3.5 to x4.5 and was wondering where to go next. Having then recruited an Endodontist it led me towards getting a microscope. I looked at all the options from low budget to very expensive and as we do asked all my learned colleagues. In the end my deciding factors were the service provided by Robert Bridgewater from Optident and the great feature that the Kaps has of a variable electric focus zoom. Along with great optics and illumination this allows me to easily readapt my visual field. Work has again become a pleasure, the patients are highly impressed with the care and technology and I'm able to perform Dentistry of the standard of my esteemed peers just by being able to see; I know that sounds strangely simple!